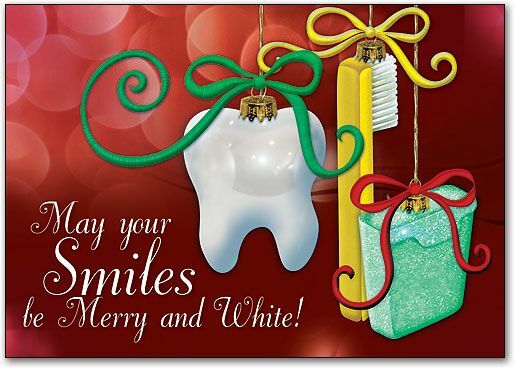 Follow these 5 tips to keep your smile merry and bright this holiday season! Don’t use your teeth as a tool! – Be sure to use the right tools to open presents and boxes, remove stubborn bottle caps, and crack open nuts. Using your teeth can cause tooth and gum damage and may even crack your teeth. Avoid sugary drinks and use a straw – Try to switch your sodas to carbonated waters. If you must drink soda, use a straw to try and keep the acid of your teeth. Be sure to brush afterward! Limit the Grazing – We tend to leave trays of food and treats out all day long during the Holidays. Try to bring food out only at meal times. Healthy Foods to fill up on – Turkey is a great source phosphorus and protein – both of which can help your body fight tooth decay and keep your teeth strong and healthy. Filling up on veggies high in Vitamin A, like carrots and broccoli, can also help strengthen your enamel. Smart Stocking Stuffers – Instead of adding another candy cane or chocolate Santa Christmas, throw in some floss and a new toothbrush to fill the stockings!